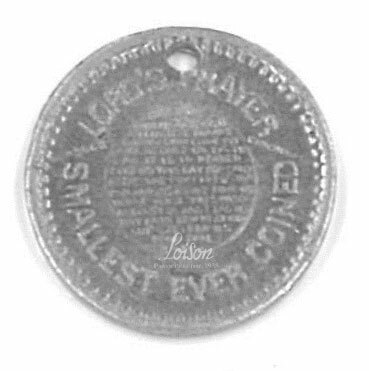 “Smallest ever coined” is engraved on this coin produced in Cincinnati, Ohio, USA. Measuring only 12mm in diameter, one side of the coin has the “Lord’s Prayer” engraved in the center. A small hole at the top of the coin shows us how it could have been used as a lucky charm. It was coined by M. M. Duck in 1889 for the Langdon Bakery. 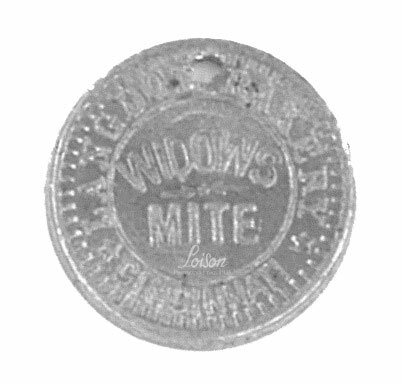 This coin was never actually used as a bread token, but rather as an advertising gadget.